Ahh, salt: responsible for the salvation of many a food (or is that salivation?). The oldest chemical in use, salt was used in prehistoric times and there are records of its use for drycuring hams in the third century BC by the Roman Cato the Elder. The use of sugar as a preservative wasn’t far behind; the Romans used honey to preserve foods as well. And another historical preservative is vinegar, used as an acidity regulator (sounds delicious when I put it that way, no?). Chemical preservation has the fundamental purpose of preventing microbial growth. 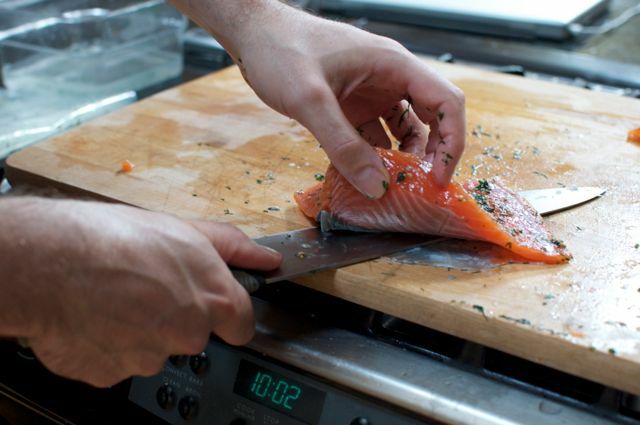 While there are plenty of other ways to preserve food, like smoking or drying, using chemicals doesn’t necessarily change flavors as much. Sausages, vinegar pickles, and fruit preserves all rely on chemicals to keep them safe for eating. Chemicals prevent microbial growth by either disrupting cells’ abilities to function, as nitrite does to sausage, or by changing any of the FAT TOM variables to be inhospitable, such as increasing acidity with vinegar or reducing moisture with sugar in fruit preserves. Salt’s ability to kill pathogens and preserve things isn’t limited to foods. For an adult human, the lethal dose of table salt is about 80 grams—about the amount in the saltshaker on your typical restaurant table. Overdosing on salt is reportedly a really painful way to go, as your brain swells up and ruptures. Plus, it’s unlikely the emergency room physicians will correctly diagnose the cause before it’s too late. Basic building block of matter. By definition, atoms have the same number of electrons and protons. Some atoms are stable in this arrangement (e.g., helium), making them less likely to form bonds with other compounds (which is why you don’t see any compounds made of helium). Other atoms (e.g., sodium) are extremely unstable and readily react. A sodium atom (Na) will react violently with water (don’t try licking a sample of pure sodium—it’d ignite due to the water on your tongue), but when an electron is removed it turns into a delicious salty sodium ion (Na+). Two or more atoms bonded together. H = hydrogen atom; H2 = two hydrogen atoms, making it a molecule. When it’s two or more different atoms, it becomes a compound (e.g., H2O). Sucrose (a.k.a. sugar) is a compound with the composition C12H22O11—12 carbon, 22 hydrogen, and 11 oxygen atoms per molecule. Note that the composition doesn’t tell you what the arrangement of the atoms is, but that arrangement is part of what defines a molecule. Any atom or molecule that’s charged—that is, where the numbers of electrons and protons aren’t equal. Because of the imbalance, ions can bond with other ions by transferring electrons to (or from) each other. An atom or molecule that’s positively charged. Pronounced “cat-ion”—meow!—a cation is any atom or molecule that has more protons than electrons; it’s paw-sitively charged. For example, Na+ is a cation—an atom of sodium that has lost an electron, giving it more protons than electrons and thus a net positive charge. Ca2+ is a cation—a cation of calcium—that has lost two electrons. An atom or molecule that’s negatively charged (i.e., one that has more electrons than protons). Cl– is an atomic anion—in this case an atom of chlorine that has gained an extra electron, giving it a net negative charge. From these definitions, you’ll hopefully deduce that a lot of chemistry is about ions interacting with each other based on differences in electrical charges. Sodium chloride, common table salt, is a classic example: it’s an ionic compound composed of a cation and an anion. In solid form, though—the stuff in your salt shaker—salt is more complicated than one anion plus one cation. It takes the solid form of a crystal of atoms arranged in an alternating pattern (like a 3D checkerboard) based on charge: cation, anion, cation, anion. In water, the salt crystals dissolve and the individual ions are freed (disassociated). The anions and the cations separate out into individual ions, which can then react and form bonds with other atoms and molecules. That’s why salt is so amazing! Sucrose doesn’t do this. Sodium chloride is one particular type of salt, made up of sodium (a metal, and one that in its pure form happens to react violently when dropped in water) and chloride (chlorine with an extra electron, making it an anion). There are many other types of salts, created with different metals and anions, and they don’t always taste salty. Monosodium glutamate, for example, is a salt that tastes savory and boosts the sensation of other flavors. Epsom salt— magnesium sulfate—tastes bitter. Sugar can also be used as a preservative. It works like sodium chloride, by changing the osmotic pressure of the environment (see page 386 for more on osmosis in food). With less available water, sugary foods such as candies and jams don’t require refrigeration to prevent bacterial spoilage. Think back to the M in the FAT TOM rule: bacteria need moisture for growth, and adding sugar reduces their ability to drink. Sugar’s osmotic properties can be used for more than just preserving food. Researchers in the UK have found that sugar can be used as a dressing for wounds, essentially as a cheap bactericidal. The researchers used sugar (sterilized, please), polyethylene glycol, and hydrogen peroxide (0.15% ﬁnal concentration) to make a paste with high osmotic pressure and low water activity, creating something that dries out the wound while preventing bacteria from being able to grow. Whoever thought of rubbing salt in a wound should’ve tried sugar! Besides salts and sugar starving microbes of vital water, enzymatic inhibitors and acids are used to prevent their growth. Benzoate is one of the most commonly used modern preservatives, often used in breads to prevent mold growth. (Fans of The Simpsons may recall potassium benzoate as part of the curse of frogurt—see cookingforgeeks.com/book/frogurt/.) Like nitrite, benzoate interferes with a cell’s ability to function (in the case of bread, by decreasing fungi’s ability to convert glucose to adenosine triphosphate, thus cutting off the energy supply). Compounds that lower a food’s pH also preserve the food, and are so critical that acidity regulators get an entire section in the E numbers list. Many of these compounds don’t have uses interesting to the home cook, who already has citric acid (thanks, lemon juice!) and acetic acid (from vinegar) on hand. 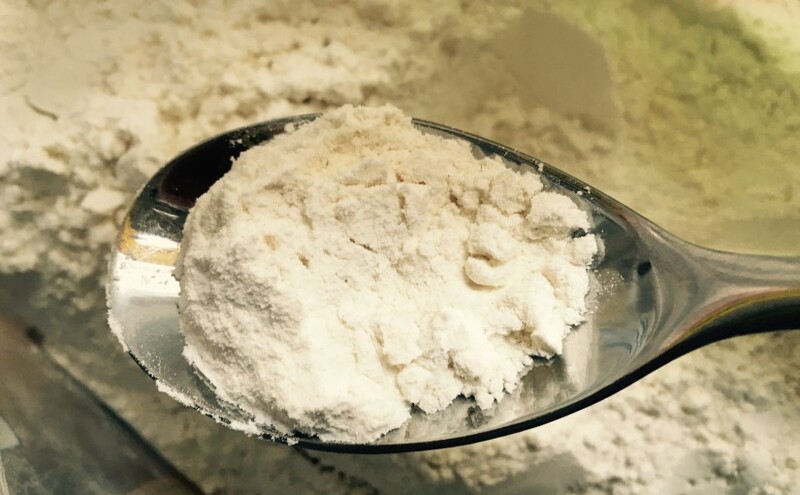 For industry, the other acidity regulators give a wider range of flavoring options and functional properties, but for home use, there isn’t much re-purposing to be explored beyond a few baking tricks like using a pinch of vitamin C (ascorbic acid) to give yeast a boost during fermentation. 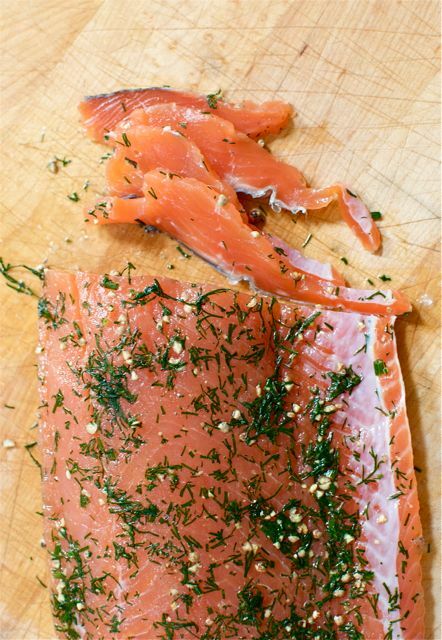 Check back next week for my recipe for Salmon Gravlax. This makes enough dough for one medium-sized pizza with the crust rolled thin. You’ll probably want to multiply these quantities by the number of people you’re cooking for. Mix in the water using the spoon so that the ﬂour and water are incorporated. Cover the bowl or container with plastic wrap and let it rest on the counter for six hours, preferably longer. When ready, transfer the dough to a ﬂoured cutting board and gently stretch the dough out, pushing it into either a rectangular or circular pizza shape from the center. 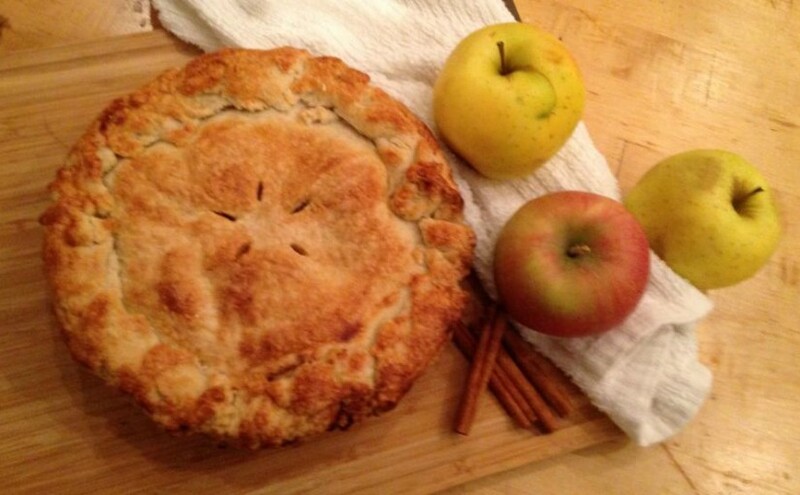 For a more rustic crust, leave the edge thicker and handle it minimally to leave more air pockets in the dough. For a thinner crust, roll the dough out. 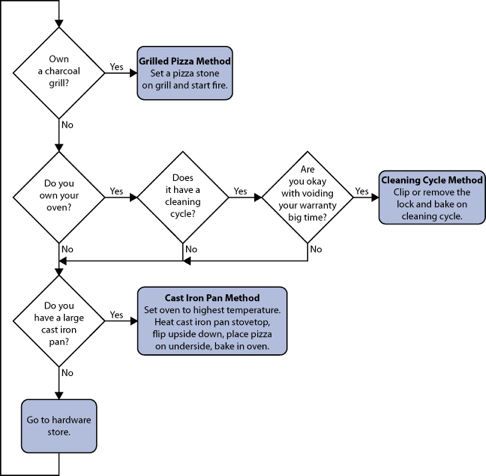 Follow standard pizza making instructions from this point on. You can mix the ingredients together at breakfast time, before running off to your day job or wherever, and the dough will be ready by the time you get home. The glutenin and gliadin proteins will slowly crosslink on their own. Note: If you want to experiment, order some sourdough yeast culture (which is actually a culture of both the well-known sourdough strain of yeast and the bacteria Lactobacillus). The ratio of yeast to bacteria in the dough will impact the ﬂavor. You can control that ratio by letting the dough mature for some amount of time in the fridge, where yeast will multiply but bacteria won’t, and some amount of time at room temperature, where the bacteria will contribute ﬂavors. 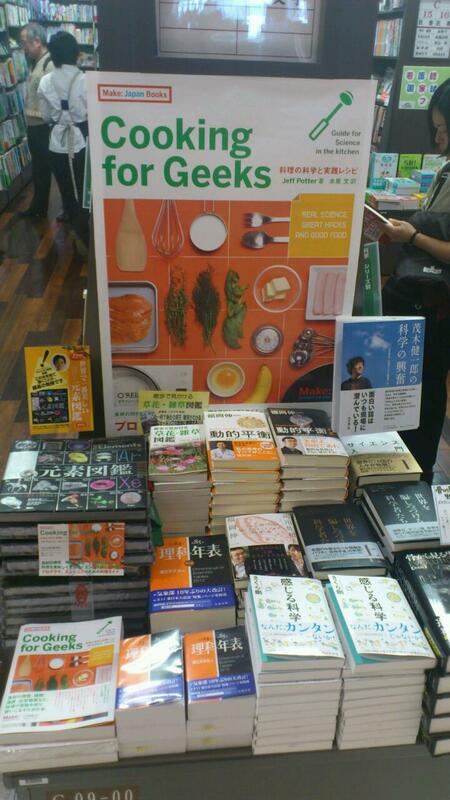 A serious examination of pizza is clearly a must-have for a book called Cooking for Geeks. Pizza covers so many variables: flavor combinations, Maillard reactions, gluten, fermentation, moisture levels, and temperature. We’ve covered most of these elsewhere in the book, but we haven’t yet talked about temperature, which is key to a good crust. Great thick-crust pizzas have a great interior that comes from good dough that’s baked at moderate temperatures. My local delicious thick-crust pizza place runs its oven at 450°F / 230°C in the winter, 350°F / 180ºC in the summer. 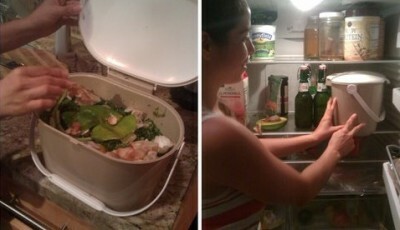 (The oven can’t be run any hotter in summer without the kitchen becoming unbearable; they just bake the pizzas longer.) Easy enough. Wood charcoal grill temperature: 742°F/ 394°C. Place a pizza stone on top of the grill and light the fire. Once the grill is hot, transfer the pizza with toppings onto the grill. Depending upon the size of your grill, you may be able to cook the pizza directly on top of the grill, sans stone—give both a try! Grill-lusting apartment dwellers have to get creative to create high-heat pizza. 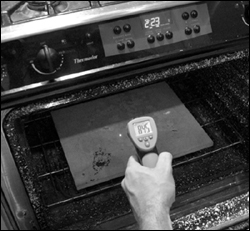 While most ovens limit the temperature to 550°F / 290°C, both the oven’s broiler and the stovetop reach higher temperatures. Preheat the oven to 550°F / 290°C, or as hot as it goes. Heat up an empty cast iron pan on the stovetop at maximum heat for at least 5 minutes. Switch the oven to broiler mode, transfer the hot cast iron pan to the oven, flipping it upside down and setting under the broiler set to high. Parbake the pizza dough until it just begins to brown, about 1–2 minutes. 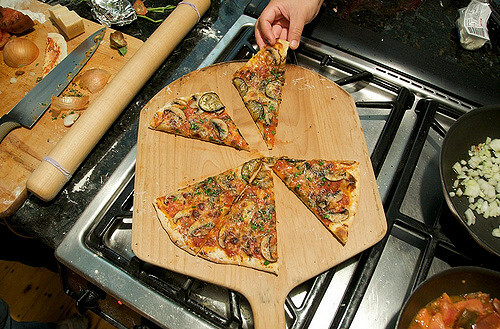 Transfer the dough to a cutting board and add sauce and toppings. Transfer the pizza back to the cast iron pan and bake until toppings are melted and browned as desired. 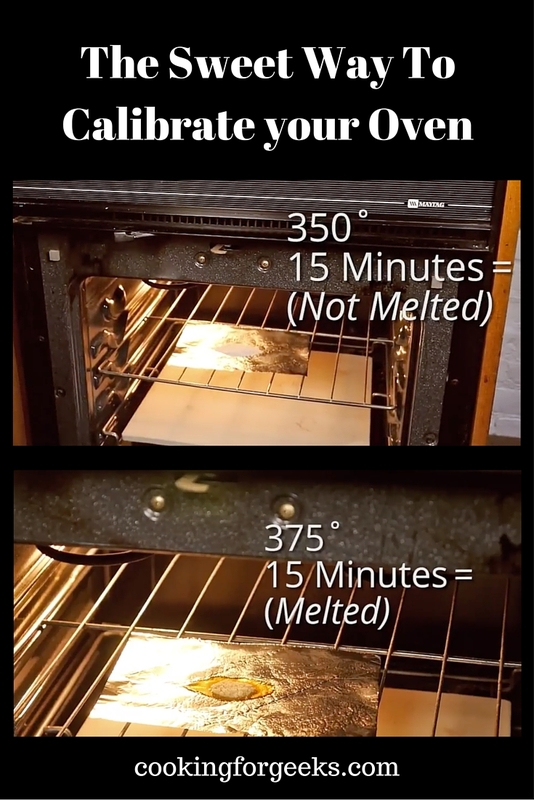 Ovens get a lot hotter—a lot, lot hotter—when they run in the cleaning cycle. The problem is that ovens mechanically lock the door, preventing you from slipping a pizza in and out, and leaving a pizza in for the entire cleaning cycle will result in less-than-tasty charcoal. Cut or remove the lock, however, and ta-da! You’ve got access to a superheated oven. After some fiddling, I took my oven to over 1,000°F / 540°C. The first pizza we tried took a blistering 45 seconds to cook, with the bottom of the crust perfectly crisped and the toppings bubbling and melted. However, the center of the pizza never had a chance to heat up, so the 1,000°F / 540°C pizza wasn’t quite right. Another attempt at around 600°F / 315°C was remarkably good but didn’t capture the magic of the crispy thin crust and toasty-brown toppings. At around 750–800°F / 400–425°C, however, we started getting pizzas that were just right. 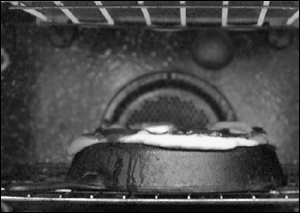 Ovens aren’t designed to have their doors opened when running in the cleaning cycle. Honestly, I don’t recommend this approach. I broke the glass in my oven door and had to “upgrade” it, although it is cool to have bragging rights to an oven sporting a piece of PyroCeram, the same stuff the military used for missile nose cones in the 1950s. Given that an upside-down cast iron pan under a broiler or a wood-fired grill turns out delicious flat-crust pizzas, I’d recommend skipping the oven overclocking, as much fun as it is. Check back next week for my Recipe: No-Knead Pizza Dough. • Don’t skip boiling the beans. Really. One type of protein present in beans— phytohaemagglutinin—causes extreme intestinal distress. The beans need to be boiled to denature this protein; cooking them at lower temperatures (e.g., in a slow cooker) will not denature the protein and actually makes things worse. If you’re in a rush, use canned white beans; they’ll have already been cooked. Variations: try blending some fresh oregano into the soup. Toss some bacon chunks on top or grate on some Parmesan cheese as well. As with many soups, how chunky versus how creamy to blend the soup is a personal preference. Gluten Free Diets: Fad or Science? Interest in eating gluten free has seen a major uptick in the past few years, but how much does the science back up the claims? “Most people who are trying to avoid gluten don’t need to. They don’t have celiac; less than 1% of Americans have celiac. It’s estimated that another 6-7% of people have some kind of sensitivity to gluten. There’s only about 8% who have some kind of sensitivity to gluten. At the same time, 30% of people are telling us that they are trying to avoid gluten. Most of the people are avoiding gluten for reasons other than some need. The reasons that they are telling us is that they feel better, or that they feel it’s healthier even when isn’t necessarily. But that’s the predominant reasons that we’re getting: they just feel better when they avoid it. Placebo effect—believing that the food is better for you may in fact make the food better for you. There are plenty of anecdotes of this; I’d be grateful for readers aware of good stories and studies that relate to food (please contact me with them!). Perceptions around health—related to placebo effect, but more of a “health halo.” Ironically, eating gluten-free can cause long-term deficits in trace nutrients normally obtained from flour (iron, thiamin, folate, vitamin A, etc. ); fortified gluten-free foods may be in order. Distrust of the food system—i.e. who controls our food system, corporate monopolies on patents, monocultures / non-suistanable farming. There are very important issues here, but they’re outside my domain of knowledge. In conversation with readers, people bring up fears that “modern wheat” has been genetically altered and is unhealthy, or that modern baking practices use shorter ferment times for yeast to “fully convert” the wheat. I’ve seen this pattern before in conversations about GMOs; I have found that the science–based fears are generally masking concerns around food policy issues. Sense of community—there must be a New Yorker cartoon out there with a college student showing up to a protest with a blank sign and a pen, asking “What are we protesting this time?” Being part of a tribe is empowering. From weight loss to smoking, the behaviors you perform are shaped by your peers. I’d be fascinated to see a study on correlation of when individuals start claiming gluten sensitivity based on when their friends did. What I find fascinating is the perception around gluten-free. Why do we eat the way we do? Where do we get our beliefs about our food from? (The placebo effect fascinates me.) How can we learn to set aside personal beliefs so we can correctly apply the science? Let me know your thoughts. Liked this? Then sign up for my newsletter. Open Question: differences between FODMAP and gluten sensitivity. See this study for more about FODMAPs. Some individuals may be sensitive to FODMAPs (short chain carbs & co.) but think it’s gluten causing the problem. One reader calls into question the 8% figure — the paper I link to has a very small sample size (37 subjects), but Darren’s figure is also in that same range. His data was based on the NPD Group’s annual report, I believe, but I’d like to find more data on this stat! Last Friday, I was on Science Friday chatting with Ira Flatow about some fun do-it-yourself things you can do at home from the second edition of Cooking for Geeks. I already wrote up instructions for my DIY Bittersweet Chocolate Bar; in this post I’ll share details for how to make homemade vanilla extract as well as DIY liquid smoke. Spoiler: vanilla extract is super easy; liquid smoke is super hard. These two projects are great examples of solvency, and liquid smoke demonstrates how to do what chemists call dry distillation. Science! Bam! First, here’s the interview, courtesy Soundcloud. Scroll down for the geeky science details. Instructions: Slice open a few vanilla beans (shop online for the cheaper grade B ones), drop them into a small container, and top off with vodka. Wait a few weeks and you’ll have vanilla extract. The strength of the extract will depend on the vanillin levels, which will depend on the specifics of the vanilla beans and how many used. You’ll need to experiment and adjust quantities when using your DIY Vanilla Extract in cooking. Why this works: Different compounds are soluble in different solutions. In cooking, we use three primary solvents: water, lipids, and alcohol. Each works on different types of compounds, so matching the chemistry of the solvent to the chemistry of the volatile compound is the key to making good extracts. The same chemical principle that allows water to dissolve compounds also applies to lipids and ethanol, so which solvent to use depends on the structure of the compounds being dissolved. In the case of vanilla, alcohol (a.k.a. ethanol) works the best. If you’re making extracts from other items, you may find water or lipids work better. This is why hot peppers are sometimes infused in oil—the capsaicin dissolves better with lipids (“like dissolves like”) due to the compound’s chemical structure. One P.S. on my explanation: most compounds are more complicated than this abbreviated explanation implies. It’s not that vanillin or capsaicin can’t dissolve in water; but the solubility is much lower than in ethanol or fats. This is why capsaicin, without any lipids around, can still dissolve into water. 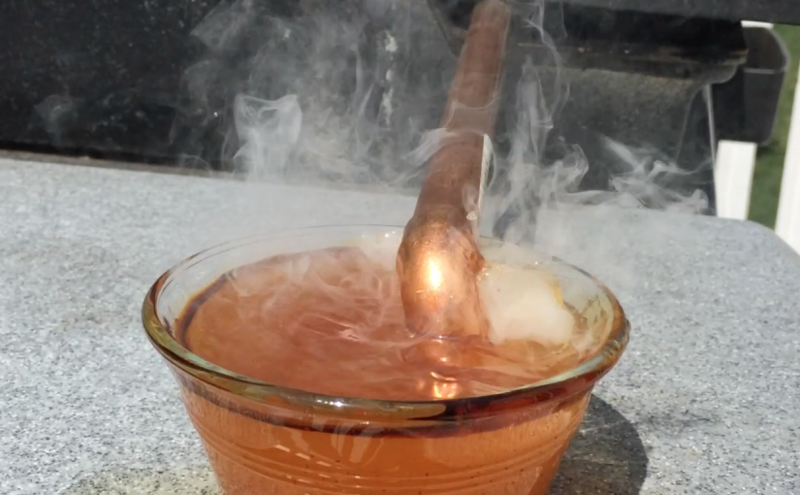 Instructions: Download my lab for How to Make Liquid Smoke (PDF). Warning: it’s a long and complicated project. Liquid smoke involves similar concepts as vanilla extract—solubility of compounds in liquids—but is much more complicate. Why this works: To make liquid smoke, you need to heat wood chips to a temperature high enough for the lignins in wood to burn (around 752°F / 400°C), pipe the resulting smoke through water, and do so without any oxygen. The water-soluble components of smoke remain dissolved in the water, while the non-water-soluble components either precipitate out and sink or form an oil layer that oats and is then discarded. The resulting product is an amber-tinted liquid that you can brush onto meats or mix in with your ingredients. I do NOT recommend using your own DIY Liquid Smoke, except perhaps once as a curiosity project. Do NOT make liquid smoke by soaking “smoked” wood chips in water. Properly made liquid smoke filters out many mutagenic, cancer-causing compounds; the DIY instructions I typically see concentrates those compounds into what you’re eating. Incidentally, the wood chips turn into charcoal in the process; they’re carbonized, but without oxygen present, they can’t combust. You can create your own charcoal by sealing up wood chips inside a container that will vent out smoke but not circulate air back in. You can also make charcoal from materials besides wood. I know one chef who uses leftover corn cobs and lobster shells to create “corn cob charcoal” and “lobster charcoal,” and because some of the flavor molecules from those items are extremely heat-stable, using the charcoal for cooking imparts a whiff of those flavors as well. A bar of dark chocolate is amazing—but it wasn’t always this way. Back in 1879, a Swiss entrepreneur by the name of Rudolph Lindt invented a refining process call conching that took gritty, granular chocolate and turned it into the deliciously smooth bars that we enjoy today. When working on the second edition of Cooking for Geeks, I wondered: what was chocolate like before Lindt’s discovery? And just how hard is it to conche your own chocolate? 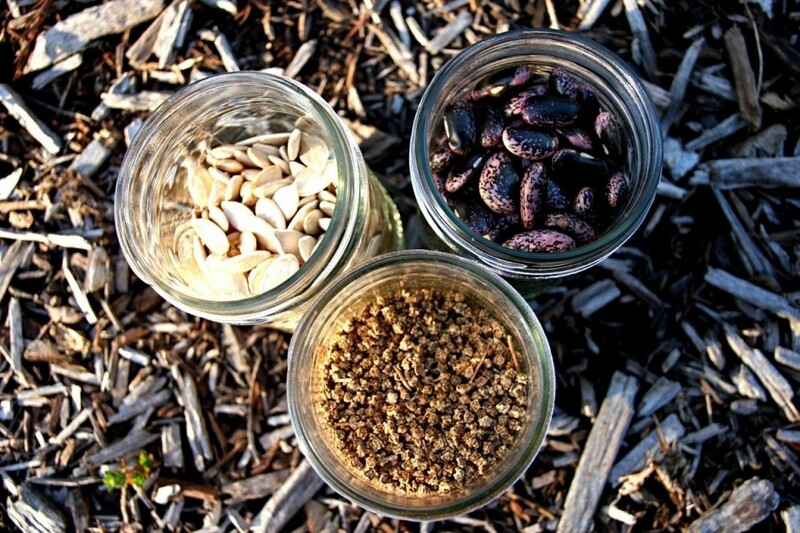 Cacao Nibs are the dried, fermented seeds of the cacao plant. Language geeks: Note the spelling: cacao vs cocoa. Cacao generally refers to parts of the plant and cocoa refers to edible food products. 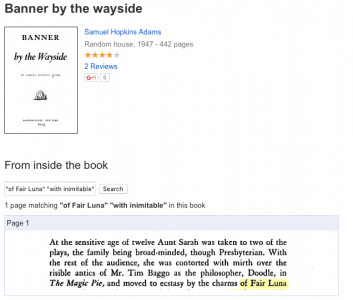 The letter transposition likely occurred in 1755 by dictionary maker Samuel Johnson on page 401 due to the Spanish spelling. Old-fashioned Coca-Cola bottles, with their ribbed shape, are a reference to cacao pods—inspiration by proximity in the dictionary; the cacao tree has nothing to do with coca bush. Cocoa butter, a.k.a. cocoa fat, is the fat from the cacao nibs. Sometimes we forget: plants have fats! Fats are triglycerides; in the case of cocoa fat, the most prevalent triglycerides are myristic, oleic, and palmitic acid. Butter—as in cow, not cocoa—has a very similar fat composition, hence the similarities in melting temperatures. The exact ratios of the triglycerides in cacao seeds will depend on the climate in which the plant lives. Cooler climates (i.e. higher elevations or geographic variations) will create a fat composition that has a lower melting point. Cocoa butter tastes sorta like shortening. It’s not that delicious. White chocolate is cocoa butter, sugar, and often flavorings like vanilla. Technically it is chocolate—it has parts of the cacao plant—but some may disagree. Cocoa powder is the dried, dark solids of the cacao nibs—hence it’s sometimes call cocoa solids. Bittersweet chocolate is the combination of cocoa fat, cocoa powder, and sugar. Sometimes flavorings like vanilla are added in; sometimes emulsifiers as well. There’s no legal definition specific to bittersweet chocolate, but as a guideline, bittersweet chocolate is typically 30% cocoa fat, 40% cocoa powder, and 30% sugar. 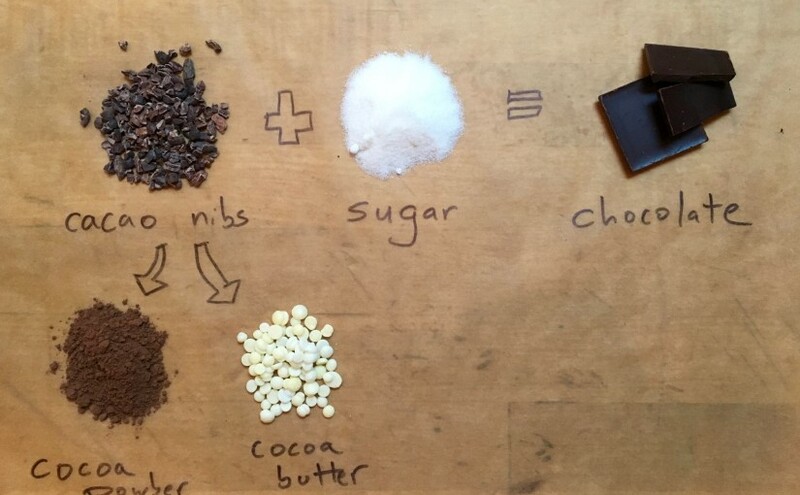 Ok, so hopefully that clears up some common confusion around spellings, differences in ingredients, and other “base knowledge” parts of chocolate. Ok, great—so how do I make a bar of delicious bittersweet chocolate? Take the cacao nibs, warm them, and slowly grind them for many hours. The fats in the seeds will melt, and the other parts of the seeds will get ground up and suspended in the fat. This, by the way, is called chocolate liquor. It’s bitter—no sugar yet. Add sugar and conche. Conching does a bunch of things: breaks up the sugar, thoroughly distributes the ground cocoa solids, and slowly aerates and oxidizes some compounds from the chocolate. Conching is a slow process—6 hours seems to be the shortest time I’ve read; some makers reportedly let chocolate conche for ~72 hours. Longer = smoother, but also more expensive. But wait, Jeff, I don’t have a conching machine… there must be another way?! There is, sort of. If you don’t mind skipping the conching, you can make a bar of chocolate that’s unconched. You won’t be rushing out to buy it, though—before Lindt’s improvements, chocolate was generally used as an ingredient in food and drinks, not as a consumable itself. Still, it’s fun to see what chocolate would have been like before the modern improvements. For a FULL do-it-yourself experience, you could start with cacao nibs and sugar, heat, grind, and labor away. But we can take a shortcut, albeit unfaithful: cacao nibs are processed into cocoa powder and cocoa fat, so we can use those instead. In a small bowl, melt 1 tablespoon (9g) of cocoa butter, either in a pan of simmering water or the microwave. Remove the butter from the heat or the microwave and add 2 teaspoons (10g) of sugar and 2 tablespoons (12g) of cocoa powder. Using a spoon, mix thoroughly, stirring for 1–2 minutes. Transfer the mixture to a flexible mold or parchment-paper- lined container and allow it to cool. by a sweeter, possibly floral taste as the sugar dissolves in your mouth. Using superfine sugar instead will give a smoother texture, but the chocolate won’t have the same mouthfeel as the bars we are used to, which are conched and tempered. Speaking of tempering: I’m skipping the details of that here, but for the curious, read pages 158-160 (PDF). A cute video about popcorn, Pop On A Corn, has been exploding all over the internet, but it’s a hoax. But it’s so close to what can be done that… well, argggh! The hoax video inspired me to attempt my own version, using REAL popping corn. 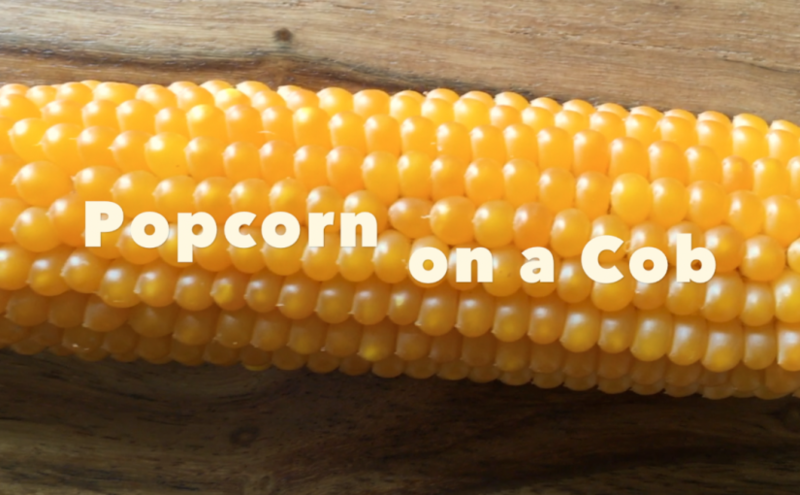 With a time limit of 2 hours for shooting and 2 hours for editing, here’s a quick pass at a fun video on REAL pop corn on cob. 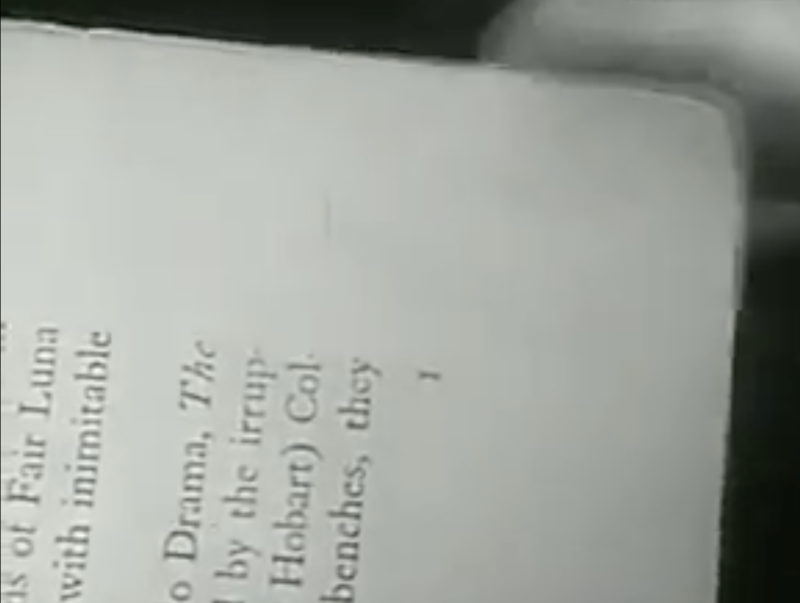 If you’re a book lover and a geek, spend ~10 minutes to watch this lovely video from the 1940s about how books were made. Here I am, ~70 years later, marveling at how things have changed. 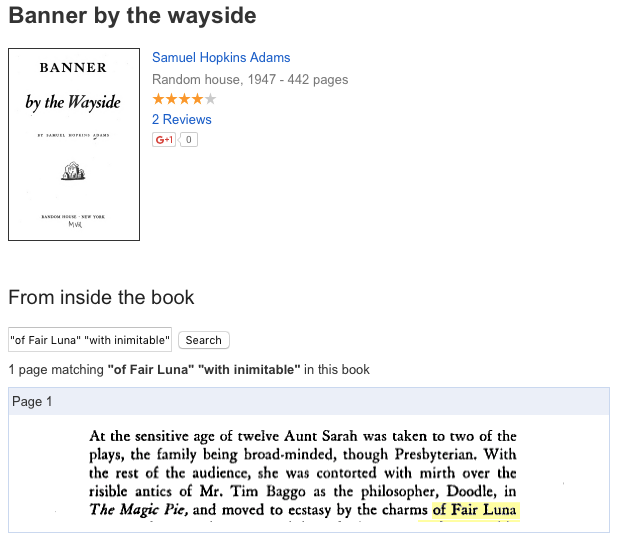 So that’s where the phrase “put to bed” comes from! Awesome Food is happy to announce that its fifth micro-grant of $1,000 has been awarded to Andrew Whitman of the UCSC Seed Library, which is a seed repository and lending service based at the University of California at Santa Cruz. Whitman is among nearly 800 applicants from around the world who have applied for grants from Awesome Food, a chapter of the Awesome Foundation, which awarded its first micro-grant in October 2011. Hi there, I’m Jeff Potter. And I’ve got this great idea for a TV show where we show viewers a new kind of cooking: one based on science. If you’re the type of cook who doesn’t like to follow a recipe, and if you’re curious about why we do things the way we do them, then my show American Food Geeks is going to rock your world. 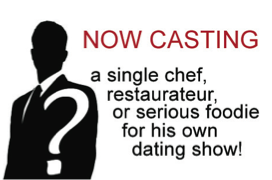 But: I’m looking for a co-host. Maybe you know someone who’d be perfect? Head over to Jeff Potter’s American Food Geeks page to learn more. Awesome Food is delighted to announce its third microgrant of $1,000 has been awarded to SNAP Gardens and Dinner Garden to fund a collaboration to raise awareness that food stamps can be used gardening. The project is among the nearly 800 projects from around the world who have applied for grants from Awesome Food, a chapter of the Awesome Foundation which made its first micro-grant award in October. The Awesome Foundation now has a new chapter—Awesome Food—of which I’m a trustee. Details in the below press release! 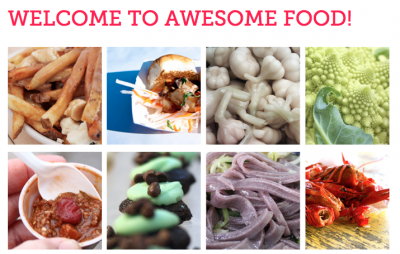 Awesome Food, a chapter of the worldwide Awesome Foundation, officially launched on Wednesday, July 20 and is now accepting grant applications from around the world to further food awesomeness in the universe. Visit awesomefood.net to learn more and apply at awesomefood.net/apply. The first round for application deadline is end-of-day, Friday, August 5th. Each month, Awesome Food will give one applicant $1,000 to help pull off an awesome idea involving food. 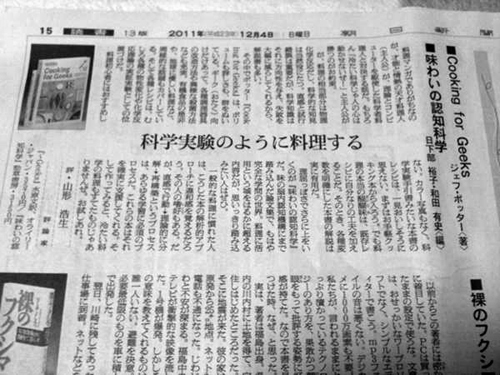 The ideas must relate to food in some form, and the definition will be more inclusive than exclusive. Examples could include educating the public about DIY-farming, creating an ad-hoc eatery in a subway car, or recording videos of immigrants’ recipes. Anyone is eligible to apply: For profit, non-profit, individuals, companies, schools, adults, children. The $1,000 grants are not be loans or investments. They are not expected to be paid back. They are no-strings attached grants. The Awesome Foundation has a FAQ on how the grants work.